At New Haven Paving, we specialize in a variety of commercial asphalt paving services. We offer everything from new construction paving, resurfacing, replacements, and of course repairs. Do you need to reduce liability at your commercial property? Do you want to extend your commercial parking lot? Could you use some assistance in installing an entirely new parking area? If so, the team at New Haven Paving is happy to help. We are dedicated to giving you an affordable and high-quality result for your commercial property. For your free commercial paving estimate, reach out to us today. 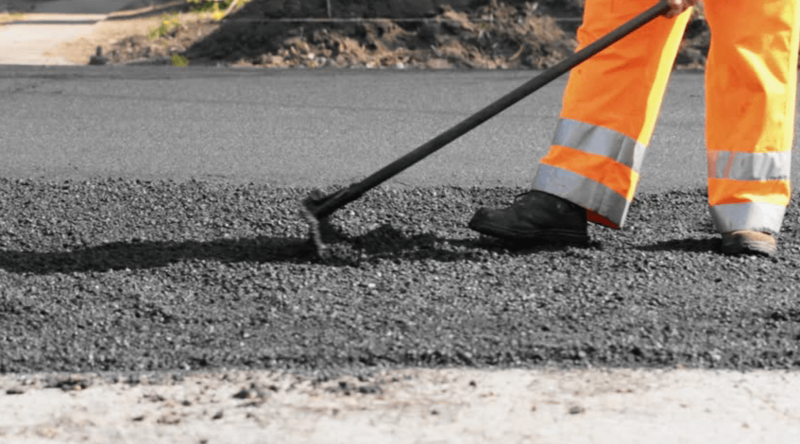 Our team of top rated, experienced and dedicated paving contractors performs a wide variety of asphalt paving services for your commercial business. We are fully licensed, bonded and insured, giving your business peace of mind by choosing us. Above all, we are dedicated to giving you the best possible outcome for the right price. In fact, we offer free quotes as well. Our standard paving services in New Haven, CT include the following. Does your parking lot need to be repaved, replaced, resurfaced, or just installed? If so, our dedicated team of paving contractors can help. We believe in making your parking lot look as good as possible for an affordable price point. Asphalt is not just a one-time service. In fact, it is a long-term process. Our team at New Haven Paving also provides asphalt maintenance to ensure that your asphalt continues to look its best as the years go by. Save money by investing in asphalt maintenance services. Does your business require its own private roadway? Don’t want to leave it as a gravel road? Then our New Haven Paving team can help. We can help construct your new roadway to ensure it is level, has the proper drainage, and looks great. For all your commercial paving services in New Haven, CT, you can turn to our team for reliable, experienced, and polished results. Our team at New Haven is dedicated to giving you the best outcome for the right price. Simply contact us to get your free quote. Looking for paving contractors to help with your commercial specialty paving projects? If so, we would be happy to help. 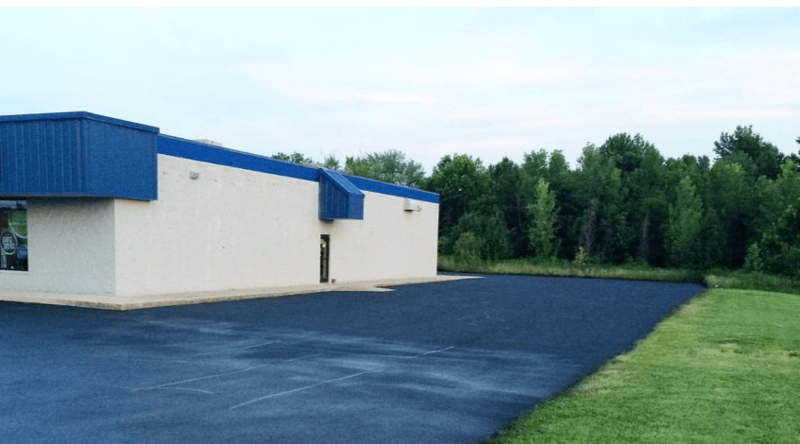 Here are a few of our specialty paving services that you can count on for excellent results in New Haven, CT.
At New Haven Paving, we proudly offer parking lot sealcoating services for commercial businesses. Sealcoating your asphalt is a great way to prevent damage caused by standing water and the elements. It’s also a great idea if you want to spend less on your commercial asphalt services over time. Golf paths made from asphalt are another area we can assist. Whether you need repairs or just standard maintenance, you can turn to our team for high quality asphalt golf path services. Do the walkways around your commercial property require maintenance? If so, our asphalt paving crew can help. We provide services for any and all asphalt services, so turn to us for the best results. 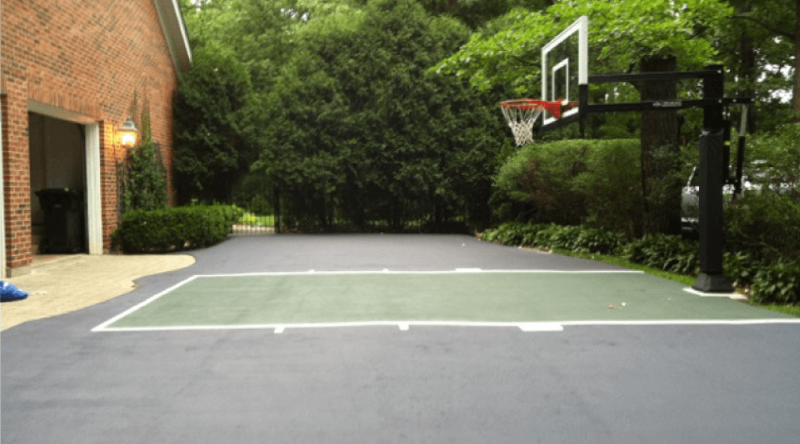 We also specialize in asphalt for basketball and tennis courts, including repairs and new installations. At New Haven Paving, we offer you a trusted resource of paving contractors. For the best service at a low price, give us a call to get your free commercial paving estimate.